Yesterday, I discussed The Future For Housing, which focused on why home prices would decline due to coming changes in the cost to finance property. This is also known as leverage. Today I want to focus on apartments using the same theme. I called a commercial mortgage broker yesterday and spoke with him in length regarding the current state of financing for multi-family property. The government, just as they do with residential real estate, is currently actively involved in providing mortgages for investors in apartment buildings. 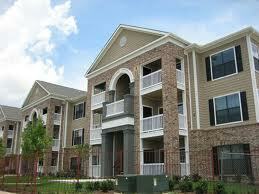 -Fannie Mae specializes in mortgages for $4 million and under. -Freddie Mac specializes in mortgages for $4 to $10 million. -They require 20% down (80% LTV) and the asset needs to be 90% occupied for the previous 3 months. -They require 25 - 30% down (70-75% LTV). The asset does not have occupancy or performance requirements. -Secondary or seller financing is possible. This financing was the main source of funding for commercial real estate during the real estate boom. Loans were made by local banks then sold to Wall Street who packaged the loans and sold them to large investors. Securitization essentially disappeared from the end of 2008 through 2010, but the market has begun to re-emerge at the start of this year. The loan requirements are essentially the same as Life Insurance companies. Rates for all 3 financing sources above are determined using the 10 year treasury bond rate plus a spread. The 10 year treasury bond is currently trading at 3.65%. This is why the government treasury bond rates are so important to the commercial real estate market. I would make the same argument for Fannie and Freddie as I did yesterday in The Future For Housing. This financing is going to disappear from the market. The second two forms of financing, Life Insurarance companies (also include pension funds in this category) and Securitisation will continue in the future, but they will require stricter lending requirements, and there is an ominous threat of interest rates rising off their historical lows. Investors that have been patient during this false rally will finally get the opportunity to view true real estate bargains as they begin to flood the market sending cap rates soaring.